‘Revival at Possum Kingdom Community Church’ is presented by the Kings Players on three weekends. About two down-on-their-luck con men posing as revival preachers. At Temple Theater, 514 Visalia St., Hanford. Call 559 584-7241 or visit www.kingsplayers.net for more information. May 18, 19, 25, 26, June 1 & 2 at 7:30 p.m.
Sunday matinees May 20, 27 and June 3 at 2 p.m. The Promise; is a film about the last days of the Ottoman Empire, the story of the Armenian Holocaust which murdered 1.5 million people in the land now known as Turkey. The California Holocaust Education and Resource Center, 115 E. Paseo (at Court Street) in Visalia, will show the film at 7 p.m. Tickets: Call 559 308-1333 for more information. Calling all Sculptors and Ceramic Artists! Calling all Sculptor and Ceramic Artists! 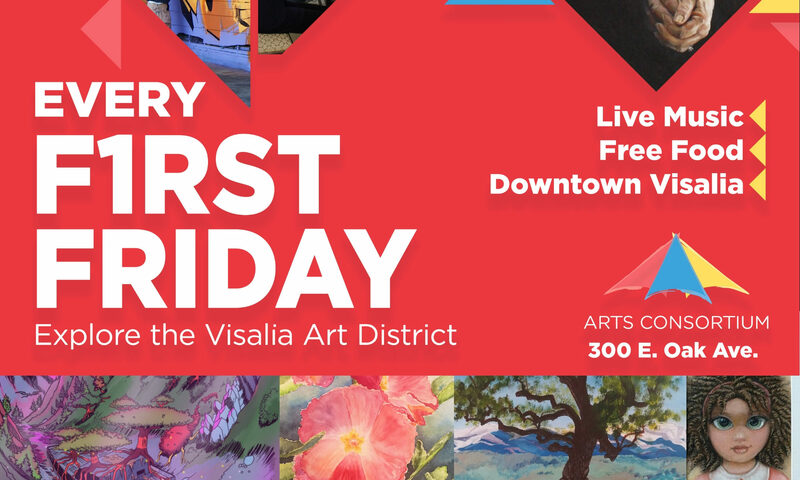 We are featuring you during June and during First Friday! The Arts Consortium would like to invite all to participate in our June 2018 “Adventures in 3-D” First Friday show, featuring sculpture, ceramics, and assemblage. Entries will be accepted Friday 5/25/18 at the Consortium (300 E. Oak Ave.) from 10 AM – 6:00 PM. 2. We will be asking for a $10.00 entry fee (per piece). If you want to become at take in we will waive the fee when you pay the $25.00 membership. 6. Sculpture pieces, free standing can be no larger than 5ft. tall and 4ft. wide and must be on a study base that cannot be knocked over. No sharp edges or points easily broken. 9. Sold work must remain at the gallery until the end of the show. The person buying the work may pick up the piece with proof of payment. 10. All work MUST BE PICKED UP on Friday June 29 10:00 AM – 6:00 PM. We do not have room for storage and will be receiving art for the next show in the following week. I was very excited to start a partnership, with Valley PBS and Articulate. Two of my greatest pastimes are Art and watching inspiring television. While I don’t get the chance to participate in either activity as much as I like, I definitely make time to watch this amazing TV show, on ValleyPBS. The wide variety of artist that contribute to the show always keep me engaged; I learn something new with every episode. Whether I’m getting to know the man behind the books like, “A series of unfortunate events,” learning more about the band, The Struts, or being inspired by a new artist to create something magical, Articulate always leaves me inspired. Sometimes when I have “writer’s block” I have tried streaming an episode just for some much-needed inspiration. . . And it usually works! Articulate, with Jim Cotter is an Emmy Award-winning magazine show that examines the human condition – as expressed through culture and creativity. You can watch it on ValleyPBS at 6:30 Sunday evenings or you can always catch it on demand, online at pbs.com. No matter what type of art you’re passionate about, you are sure to find something you’ll enjoy watching. Tune in Sunday’s at 6:30 PM or check it out on demand at pbs.com. You can also follow Jim Cotter and Articulate on Social Media! The Arts Consortium announces our 2018 Watermark magazine cover-art contest. The winning artist will receive a $500 prize and will be featured in an article within our magazine. The winning submission will be featured as the cover of our annual publication. Elements from the winning design will be used throughout our publication and will help create a theme for our 2018 edition of Watermark. The selected design may be reproduced and used in promotional work for our annual Taste the Arts Festival, in our magazine, on posters, t-shirts and other items that support the Arts Consortium. As such, judging criteria will include viability of sales potential. Submissions should be originally designed by the artist and thematically related to the mission of the Arts Consortium, which celebrates Tulare County’s art, culture, and community. Entries may be delivered electronically to the Arts Consortium via email at ampelio@artsconsortium.org. Image file must be labeled: FirstNameLast Name_TTAposter17. All entries must be received by: May 2, 2018. All Central California artists are invited to submit a poster that embodies the theme of the Arts Consortium. No more than one design per artist. Poster size must be 11” x 17”. Submissions must be in a .pdf (digital) format. The Arts Consortium and Taste the Arts committee reserves the right to accept or reject all work submitted during this competition. The Arts Consortium accepts no liability for damaged or lost files/art works. The winning entry becomes the property of the Arts Consortium. The artist releases the copyright of the design image, and the Arts Consortium reserves the right to unlimited reproduction, editing, and use of the image or parts of the image for arts festival materials and products for sale. The winner will be selected by an Arts Consortium appointed Committee, and is subject to the terms of this agreement. I certify that I have read and agree to the terms stated herein.